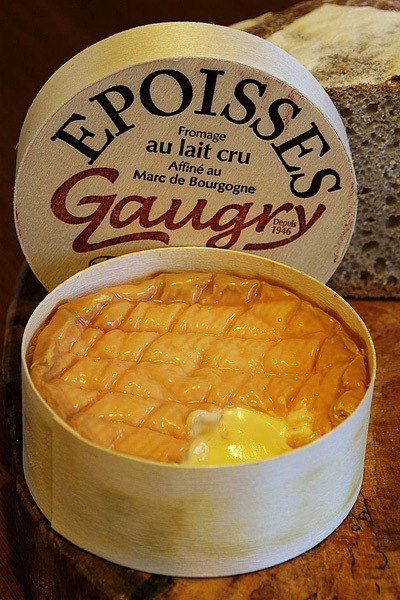 First, French cheese is super-fresh, having been produced and aged locally, even sometimes aged at the very boutiques that ultimately sell it. Yes, there are cheeses that are mass produced in French factories, but these tend to be sold mostly at the small supermarkets scattered throughout the city. Second, it’s non-pasteurized, a process that while ostensibly makes dairy products safer to eat in reality mostly kills the product’s flavor. 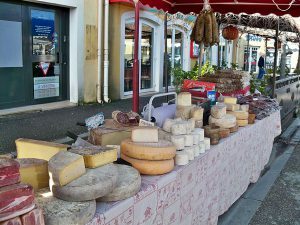 And third, there are so many different kinds to choose from—cow’s milk cheese, sheep’s milk cheese, goat’s milk cheese, firm, soft, pungent, mild, Alpine, Mediterranean, etc. In fact, there are more than 350 separate kinds of cheese made in France: You could try something new every single day for an entire year. 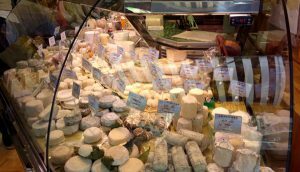 While every fromagerie in the City of Light carries the most popular cheeses—and, conversely, no shop offers every French cheese—there is a Parisian fromagerie that I go to again and again when I want to sample favorites or try something new: La Fermette on the Right Bank’s Rue Montorgueil. LA FERMETTE: La Fermette is my go-to fromagerie in Paris, not only because it has a vast selection and some of the friendliest and most knowledgeable cheesemongers in the city, but also because it’s located in the heart of the Rue Montorgueil shopping district. You can assembly all the ingredients for a perfect home-cooked meal or Parisian picnic from the numerous food boutiques on Rue Montorgueil, and that includes fantastic French cheeses from La Fermette. 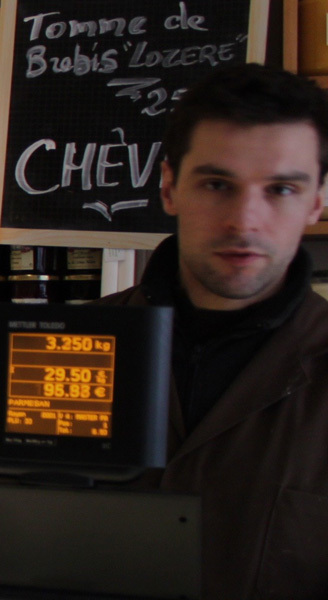 The shop also is open seven days a week, which is nearly unheard of for any retail business in Paris, particularly food sellers. All of La Fermette’s staff members speak fluent English and eagerly offer tips on new products to try and recommendations on seasonal cheeses that are available (and which products are out of season and, as such, are available only from mass producers). Be prepared to be asked several questions about your choices, like when you plan to serve it (that day? tomorrow? later in the week?) and for which meal (a picnic lunch? dinner cheese course? simply to snack on?) 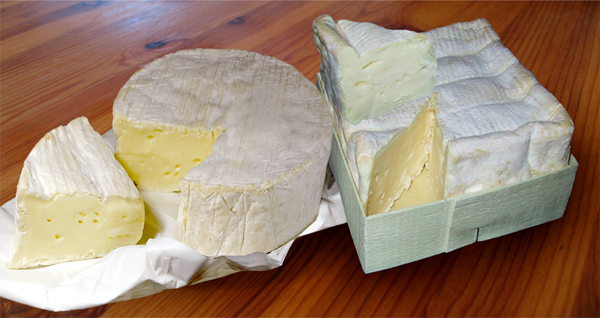 so that you will be provided with cheese that will be perfectly ripe at the precise moment you slice into it. 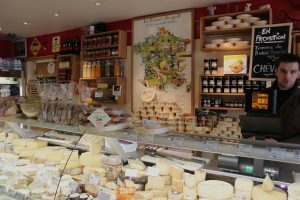 They even can recommend specific bread (from types of bread to specific boulangeries) and fruits that pair well with each cheese they sell. Finally, and this may seem superficial, but it has been noticed and commented on by just about every visitor to La Fermette, including celebrity food blogger David Lebovitz: One of the shop’s cheesemongers is among the best-looking men in Paris and what some call a dead-ringer for a young Tom Cruise (see the accompanying photo). It certainly doesn’t hurt to be helped by a hunky staff member! 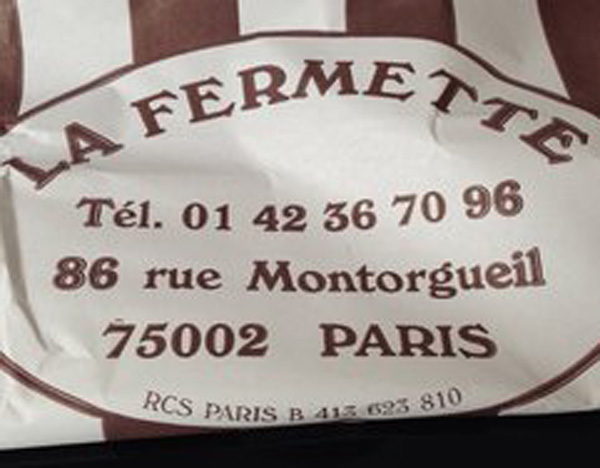 La Fermette is located at 86 Rue Montorgueil, between the Sentier and Etienne Marcel Metro stations. Hours are Monday-Saturday, 9 a.m.-7 p.m. and Sunday 9 a.m.-2:30 p.m. This entry was posted in Famous Paris destinations, Food, French cuisine, Left Bank, Right Bank and tagged cheese, Fromagerie Quatrehomme, fromageries, La Fermette, Rue de Sevres, Rue Montorgueil by Bob Adams. Bookmark the permalink.